BJ Penn, a.ka. The Prodigy, is one of the most popular and well respected UFC fighters. No doubt about that. 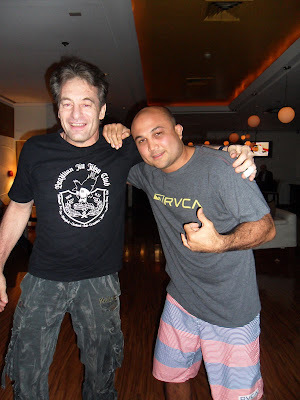 So when I heard that my coach is meeting him for a few drinks (my teammate who arranged the meet-up, a purple belt, is good friends with BJ -- he got his blue belt from him), I couldn't keep still. Must. Tag. Along. This man is an amazing athlete. And a great person, too -- funny, down-to-earth, wise. I couldn't stop laughing when he shared his antics and "nuggets of wisdom," but this one's my favorite: "If you want to win, you have to be hungry -- hungry for the win." 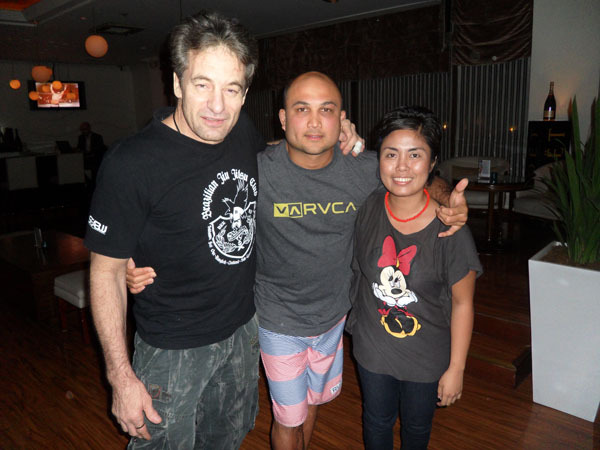 When he got asked about the much-talked about Pacquiao-Marquez fight: "Pacquiao won, no doubt. You have to BEAT the champion to be a champion." So there. I'm surprised to find him so warm a person, he kept on hugging everyone! 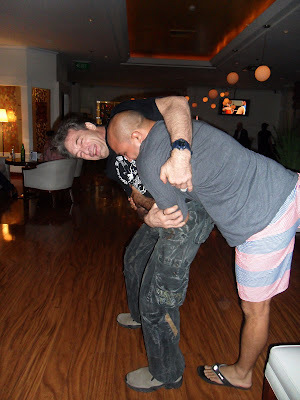 I guess that's the Hawaiian way of showing some love :) He's really super friendly, it's almost unbelievable how he turns into a beast while inside the octagon!